Scale Model News: AIRFIX VOSTOK ROCKET PART 2 - IS WHITE RIGHT? 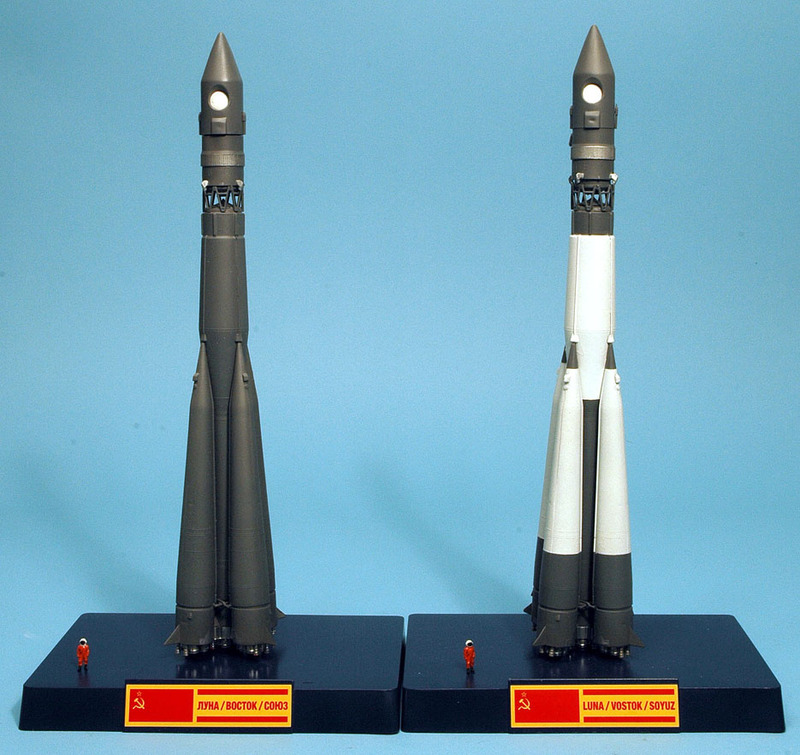 Airfix Vostok launchers built up, with empty tanks (left) and full ones (right). 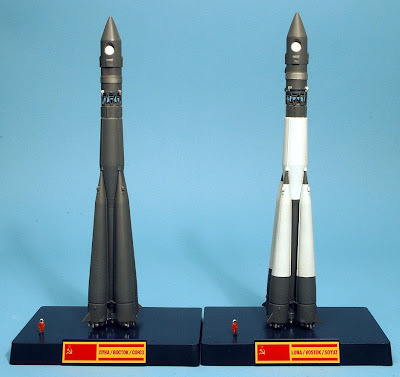 Last time (article here) I pointed out that whatever colour Vostok space launchers really were, they were not white. However photos have often made them appear partially white, so what was going on? The truth is that the ‘white’ in published pictures was correct, but it was not paint - instead, it was actually frost. 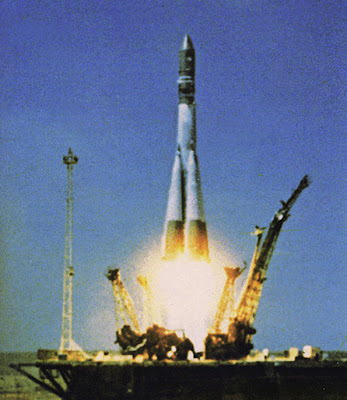 This is because Vostok’s rocket motors used cryogenic fuels, or to be totally accurate, a cryogenic oxidizer in the form of LOX, or liquid oxygen (the ‘fuel’ was the far more mundane liquid kerosene). LOX is cold - very cold** - and once the rocket is fuelled, it chills water vapour in the atmosphere immediately outside the tanks, and ice forms on the metal skin - which of course shows up white! A real Vostok, almost certainly Yuri Gagarin’s Vostok 1. Note the icing. The same was true for the US Saturn rockets. 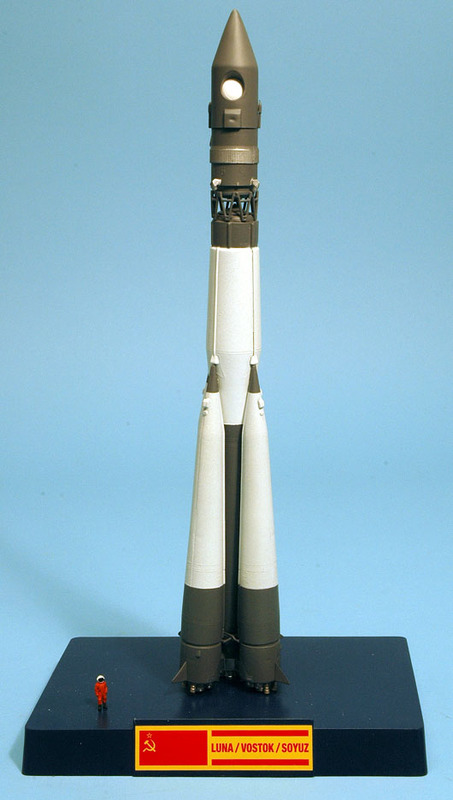 The first, S-I, stage of the Saturn V used the same fuel-oxidizer combination, but as the rocket was painted mostly white, the LOX icing wasn’t immediately apparent. However, it did show up where it covered black stripes or other details. For the revamped Airfix Vostok kit, the decision was made to do a section of painting instructions that showed this scheme, explaining briefly why, and giving two options for the final finish - unfuelled all-grey, or the tanked-up frosty look. 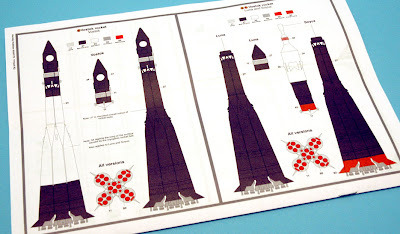 This has also been emphasised by Mike Trim’s box-art, which shows the rocket at launch. Paint instructions, drawn by Jonathan Mock, show both schemes. In Part 3 of this mini-series, I will explain what else you get in the kit and why the options have changed from ‘Sputnik’ to ‘Luna’. Mat's detailed build of this kit appears in Issue 5 of Airfix Model World, which you can buy online here. Vostok launcher is available here.